Sometimes – as Freud might have said – when a horse dies in a novel it’s just a horse dying. But when the horse dies at the beginning of a novel by Michael Cunningham, the author of novels about Virginia Woolf and Mrs Dalloway, and more recently Walt Whitman and his poetry, it cannot help but recall the untimely end of literature’s most famous symbolic horse, Vronsky’s Frou-Frou. 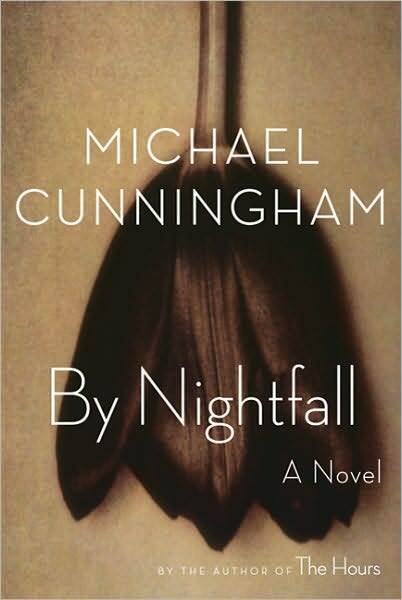 In By Nightfall, Cunningham’s fifth novel, the dying horse is given an ironic gloss: not a racehorse but one of the “inscrutable old horses that pull tourist carriages” though New York’s Central Park. But its body, glimpsed from a taxi and covered by a “merrily heavy” black tarp, sets the tone for the slightly contrived, improbably literary story that follows. The novel centres on Peter and Rebecca Harris, a pair of forty-something New Yorkers. Married for more than twenty years, the pair’s marriage has reached a sort of plateau: friendly yet distant, defined less by passion or even genuine affection than by familiarity and routine. Of course they have their problems, chief of which is their daughter, Bea, who has left college and removed herself to Boston to work in a hotel and – it seems – spend her spare time raking over Rebecca and more particularly Peter’s failings as parents. But they have other problems as well, the most basic of which is a sort of restlessness: Peter, a gallery owner, feels increasingly uncomfortable not just with the repetitions of his life, but with the gap between his belief in artistic purity – or genius – and the less exalted business of his profession, while Rebecca’s employer, a second-tier art magazine, is teetering on the edge of extinction, its future tied to the desire of a Montana millionaire to do something artistic. But all that changes when Rebecca’s much younger brother, Ethan comes to stay. Known to his family and Peter as Mizzy – or the mistake – he arrives in New York hoping to find “something in the arts” to do. Cunningham is painfully aware not just of the way youth tends to unsettle those who are only just coming to grips with the fact they have left it behind, but of the manner in which the attitudes and expectations of Generation Y tend to make their Generation X elders uncomfortable. But it is more than that. For in Mizzy Peter sees a reminder of his own lost youth, and more particularly, Rebecca reborn. And so, aware all the time of what a fool he is making of himself, he allows himself to be bewitched by his wife’s brother. So far, of course, so Thomas Mann, a parallel neither Peter nor Cunningham, who seems unable to let a literary reference pass unnoticed (Plump Buck Mulligan! Isabel Archer!) does not fail to recognise. Yet where the intensity and psychological penetration of Death in Venice lend it a sort of grandeur, By Nightfall seems content to wallow in the exquisiteness of its own sensibility. Of course something similar might be said of Cunningham’s earlier fiction, in particular A House at the End of the World (the basis for a lugubrious film featuring Colin Farrell and one of the worst wigs ever to grace the silver screen), but in The Hours and more recently Specimen Days the beauty of his prose, and its delicate, over-refined grace were subordinated to a larger ambition. This was particularly evident in Cunningham’s fourth novel, Specimen Days, which wove together three narratives, one set in 19th century New York, and exploring the manner in which the industrial revolution and Whitman’s poetry prefigure a larger transformation in human consciousness, the second set in the present and featuring a terrorist gang inspired by Whitman’s poetry, and finally a closing story set in the mid 22nd century, when human and machine have merged, and focussing on the relationship between a cyborg and an alien. To my mind Specimen Days is the most accomplished of Cunningham’s novels, a book notable not just for its preparedness to leave behind the more conventional territory of Cunningham’s earlier work, but for the brilliance of its writing and the breadth of its vision. By Nightfall, by contrast, is mostly notable for its sheer lack of ambition, and the familiarity of its dilemmas. It’s not that the pain of the privileged middle classes isn’t interesting, it’s that Peter and Rebecca aren’t very interesting, and – perhaps more importantly – Cunningham’s sheer delicacy of feeling militates against them ever becoming so. Originally published in The Weekend Australian, 2 October 2010.